FACT CHECK: Did Thousands of Marines Apply for White House Detail After Trump Became President? An oddly specific image claims that 13,506 Marines applied to work the White House detail in a single week. 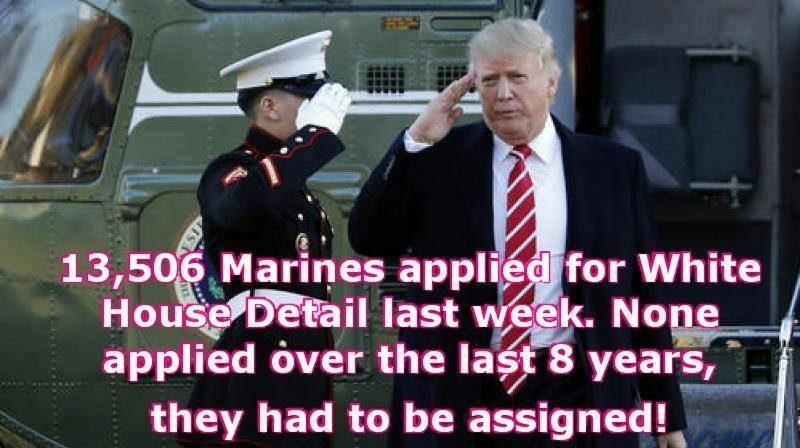 Thousands of Marines applied for White House detail after Trump became president, and none applied during President Obama's 8 years in office. The image was not accompanied by any source or additional information, and its details sound made up. If the image were to be believed, some 8 percent of the entire U.S. Marine Corps volunteered for White House detail in a single week, while not a single Marine volunteered during the previous eight years. Additionally, Marines have told us that those who serve on the White House detail are hand-picked, and the Corps doesn’t need to engage in a “casting call” to fill the few available spots. We reached out to U.S. Marine Spokesman Major Clark Carpenter, who told us that the numbers “didn’t sound right” but averred that he didn’t have accurate information immediately available. Four Marines are always on guard at the West Wing of the White House. These Marines go through an intense selection process, and they must maintain their composure at all times. The White House post is one of those posts they tell you about, but no one expects to come here. It’s very selective. There’s only four Marines in the entire Marine Corps that get to do it, so I was pretty lucky to get the position. 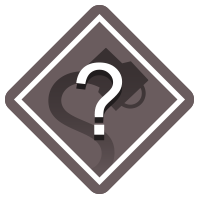 Information about the selection process is difficult to find, so while we’re awaiting an official response the best we can offer is a forum post on the subject made back in 2008 (the accuracy of which we cannot vouch for).